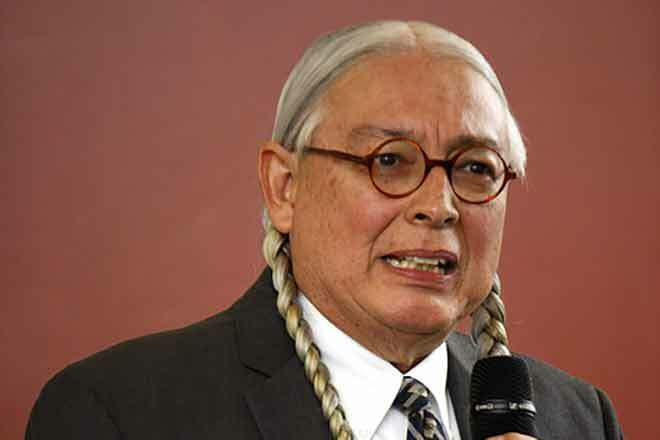 Noted attorney, legal scholar and author Walter Echo-Hawk will be the featured presenter at the Crow-Luther Cultural Events Center in Eads this Thursday. Mr. Echo-Hawk will be discussing his latest book "The Sea of Grass," a novelized version of his family that explores how the lives of people of the plains were shaped by the land, animals, plants and their culture. The presentation begins at 6:00 p.m. and is part of a continuing speakers' series hosted by the Sand Creek Massacre National Historic Site in Kiowa County. Mr. Echo-Hawk is a former staff attorney for the Native American Rights Fund (NARF) in Boulder, and currently serves as Chair of the Board of Directors for the Association of Tribal Archives, Libraries and Museums (ATALM). He was "The Dan and Maggie Inouye Distinguished Chair in Democratic Ideals" at the University of Hawaii in 2018 and has also written several books including The Sea of Grass (2018); In The Light of Justice: The Rise of Human Rights In Native America and the UN Declaration on the Rights of Indigenous Peoples (2013); In The Courts of the Conqueror: The Ten Worst Indian Cases Ever Decided (2010); and the award-winning Battlefields and Burial Grounds (1994). His presentation is part of a series of public sessions for education on Native and Non-Native American perspectives of the historical context in which the Sand Creek Massacre took place. The education series of speakers, historians, and educators will be scheduled throughout 2019 to present sessions that will address American history, tribal histories, and American Indian Law.